This is a meaty blues harp mic in quality, build, size and sound, all the boxes ticked there then! 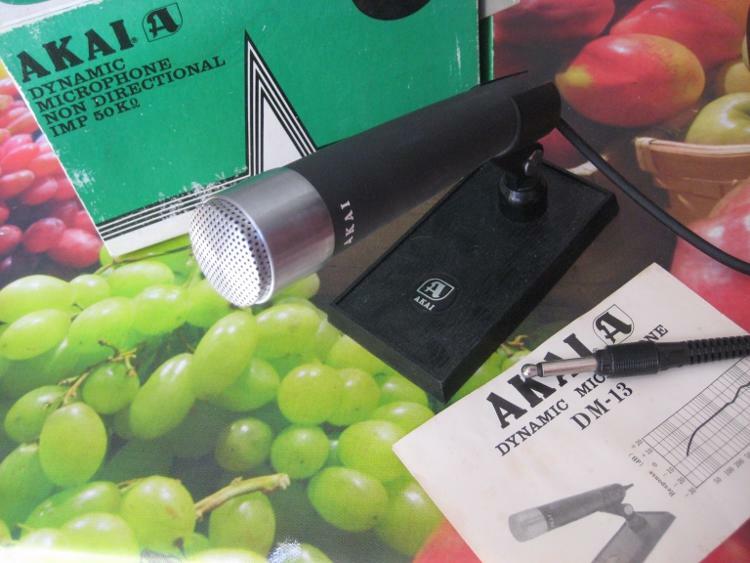 This is like a time warp microphone, it comes boxed with stand instructions and the cellophane cover that goes over the mic. The mic has a good sized lead with a 1/4 inch jack ready to plug in and play into you harmonica amplifier. If you ain't got one of those either, let me know and I will try to match you up with something just a cool. Stick on some vintage delay and you will be sounding like a super cool blues player in no time when you plug into your valve harp amp. Check out Mr Ron Sunshine in the video clip to see this vintage mic really can do. A real one-off and a truly great sounding harp mic, you won't be disappointed.